Financial Independence or Retirement – Which is the Better Goal? You are here: Home / Retirement / Financial Independence or Retirement – Which is the Better Goal? This is a post by author and financial journalist Jonathan Chevreau. 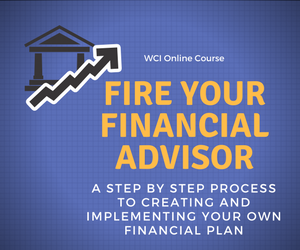 Jon is at the forefront of a movement he calls “Findependence.” This is essentially looking at becoming financially independent so that you can pursue the lifestyle of your choosing. This may be a form of semi-retirement, but the point is to work because you want to, not so much because you have to. Findependence is a process and a journey rather than a big financial event like the traditional concept of retirement. I agree with Jon’s views on this issue. Jon is the author of the book Findependence Day, be sure to check out his new site Financial Independence Hub. One of the problems with selling the concept of Retirement to young people is that old age just seems so impossibly far away in the distant future. The financial services industry and the mass media love to talk about retirement but let’s face it, if you’re a recent college graduate just entering the workforce, retirement is perceived as something far far in the future, just one step before the equally remote prospect of death. Financial independence is a goal that can be achieved not 30 or 40 years from now but in 10 or 15 years. It’s not unreasonable for a 25 year old just taking their first step on the career ladder and embarking on marriage, family formation and home ownership to set a goal of financial independence (or “Findependence”) by the time they’re age 40. If you’re findependent, your assets generate income greater than your expenses. Note that Findependence is not correlated with age. If you have modest means and have been frugal enough to build up a nest egg in 10 or 15 years, you may well be “findependent” by age 40 or so. Conversely, if you’re a high-earning high-spending professional who requires hundreds of thousands of dollars of income a year, findependence may not be in your grasp even by the traditional age of retirement. You can see why people often confuse the terms since two ways of generating passive income is often employer pensions and Social Security or other pensions paid by governments. These particular income sources do not begin until one’s late 50s or 60s. But again, if your needs are modest, you might well be able to establish early findependence solely with a portfolio of dividend-paying stocks, perhaps supplemented by part-time jobs or freelance work. For baby boomers, the so-called “New Retirement” will often prove to be a variant of Findependence and traditional Retirement. Very few boomers, even if they have the financial means, will embrace the traditional “full-stop” retirement of their parents who enjoyed Defined Benefit pension plans. The older generation may have experienced the gold watch and a quarter century of golf, bridge, reading but boomers are much more likely to embrace a semi-retirement that consists partly of employer pensions, supplemented by government pensions, taxable investment income and part-time employment income, and perhaps the fruits of certain creative endeavors: royalties from literary or musical creations, licensing fees from various entrepreneurial ventures, fees from serving as corporate directors and other sources of income. Jonathan Chevreau is a financial journalist and author. He is the author of the book Findependence Day. The original version of this post appeared on his new site Financial Independence Hub. Jon is a must follow on Twitter. Great read!! I am hoping to be financially independent by the time I’m 40. Honestly, I do plan on still working, but it will be for the pure enjoyment of it. I work from home as a freelance writer and I love it! We’re currently working on growing our assets so my husband and I can work as we please within about 10 years! Thanks for you comment Sarah. I think Financial Independence is the goal to shoot for especially in our changing economy. Good luck! i like that. “retirement” is so dated, yet so very important for young people to think about. Stephanie thanks for your comment and I agree. I think Jon’s concept of thinking in terms of financial independence is a great way for young people to look at their future.